Congratulations to the 2017 Southern District Educators of the Year! The Southern District was again combined with the Mid-South District this year for our annual Teachers’ Conference. Coming together for this conference enables us to increase the number of attendees for the conference, as well as offer a greater number of breakout sectionals and, with increased registration revenue, be able to afford nationally-known speakers. The conference was a great success, providing us with what we had hoped for in breakout sessions and keynote speakers. There was an atmosphere of comradery as the teachers from our two districts interacted with each other and new friendships were formed. 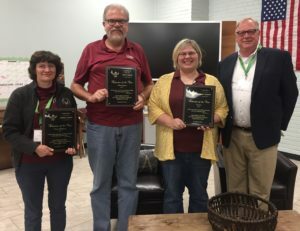 The Southern District had a special presentation at our conference as we honored three educators of the year. The honorees were as follows: Principal of The Year: Mr. Doug Molin (Atonement Lutheran School – Metairie, LA); Educator of The Year: Mrs. Emily Barlow (Atonement Lutheran School – Metairie, LA); Early Childhood Educator of The Year: Ms. Cherie Groth (Atonement Lutheran School – Metairie, LA). 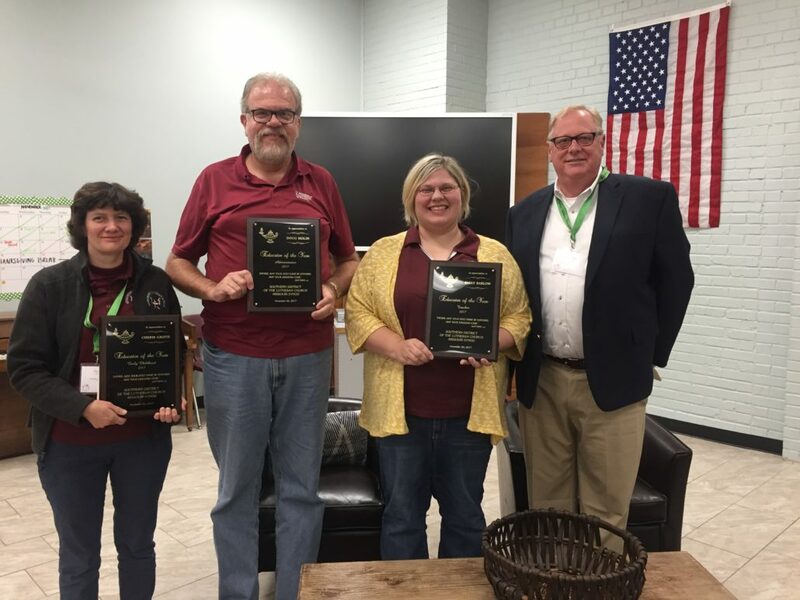 Pictured below (l – r) are: Ms. Cherie Groth – Early Childhood Educator of the Year; Mr. Doug Molin – Administrator of the Year; Ms. Emily Barlow – Educator of the Year; Mr. Glenn Gerber – Southern District Executive of Schools and the Foundation.